With the UN's International Peace Day just passing, you can't forget the men and women who are at their posts each and every day fighting for freedom and peace around the world. That's why we want to share some great new military inspired designs that have come to the shop. 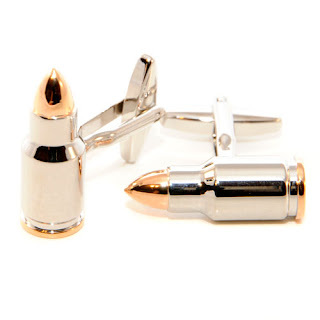 Whether you or your loved one is on active duty or is a retired veteran, honor them with a present that has their career in mind. 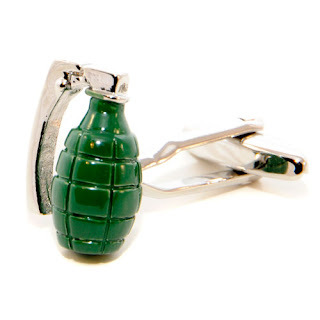 Grenade Cufflinks - these are explosive! 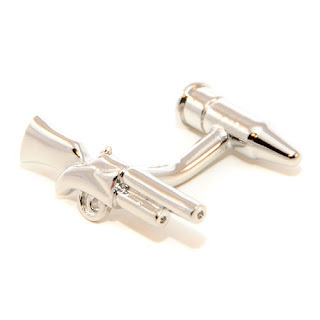 Rifle Cufflinks - double sided and reversible! This last design isn't new, but always worth a mention. 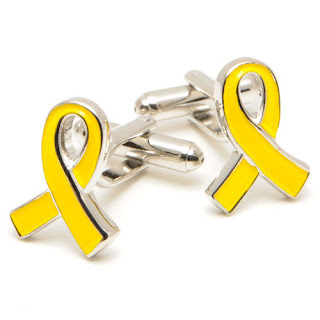 Our yellow ribbon cufflinks from our line of Cufflinks for Charity will donate 25% of the sales proceeds to the USO.